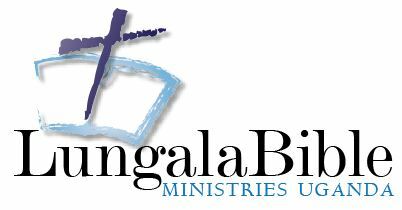 WELCOME TO OUR BLOG - where we post regular updates for Lungala Bible Ministries & Lungala Community Bible Church. If you have any queries about our Ministry please contact us - details below. Uganda is fine, except that we have had a long dry season. We haven’t had the rain that we thought we would get. Dust is everywhere, and it is hot here with 270C. That may not seem so hot for many of you, especially when we live near the equator; but for us it feels very hot. This month has been one of the busiest months for us; almost no rest. On 9th -10th March, we travelled to Western Uganda to the district of Kyegegwa to meet with church leaders. This is one of the districts with many refugees from Kigali, Congo and Rwanda. It is a remote area, and we had to drive over 20 km from the Mubende-Kasese Main road. I went with Koki and Pr. Geoffrey; pastors who were thrilled to have us take our ministry there. Some of the pastors who attended our one day conference were pastoring Churches in these refugee camps. Alex was speaking about church planting and the joy of in-depth Bible reading. Simon and I have known Koki for close to 5 years, and I (Alex) was pleased to serve with him. It was a pleasure to catch up again. We will be hosting him and his family this Sunday at our church, as he will be preaching about ‘God’s design plan for marriage’. 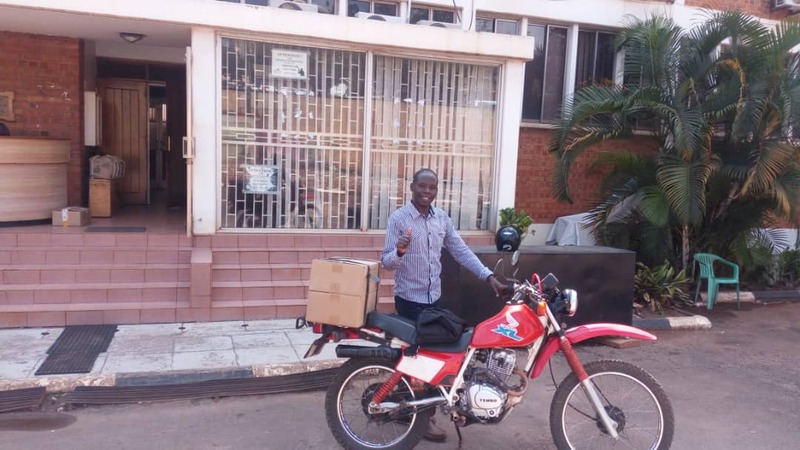 It was unfortunate that we could not take a box of Bibles; as the Bible Society (which publishes and circulates Bibles across Uganda) had run out of stock. We hope they will have them by April or May this year. Most believers say there is no easy access to Bibles in this region. The building below is a church where we met. We will be having another ministry opportunity with this village church again, and we plan to take them Bibles, as this is one of their greatest needs. 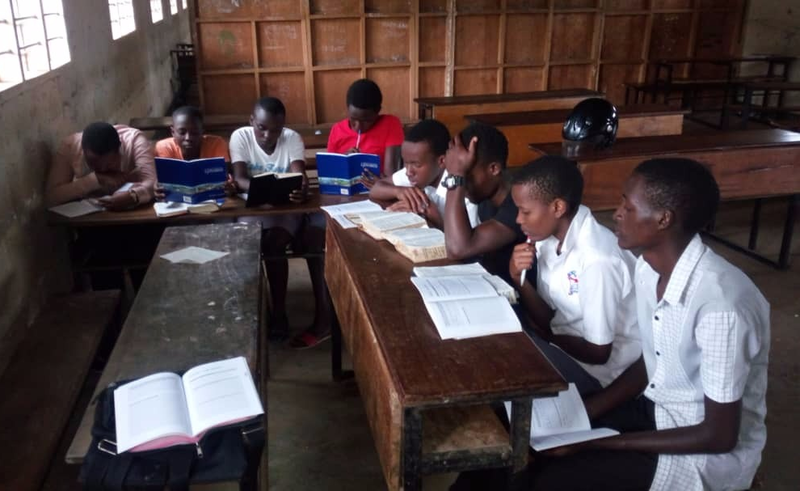 Another real need is for Bible ministry training; and we believe that God has called us to reach out to such churches in order to train them for church ministry. 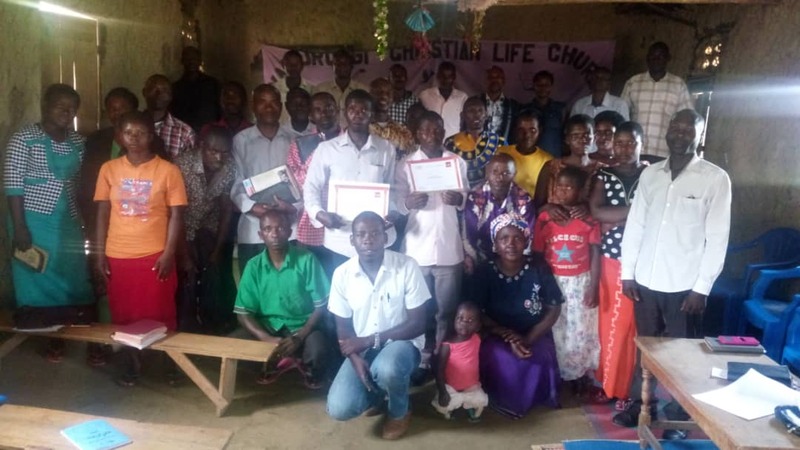 We consider that Bible training ministry is very essential; especially in remote village churches where many pastors haven’t been to Bible training colleges. We then headed to Fort Portal, and then through to Kasese. We enjoyed driving for 72km around the beautiful scenery of Rwenzori mountain ranges; which are also called the 'mountains of the moon' in Uganda. After ministry in Kyegegwa, on 15th, I picked up Stanley from Gaba, Kampala. He wanted to see us and find out what we are doing. We heard that he was back from NZ where he had been doing studies. 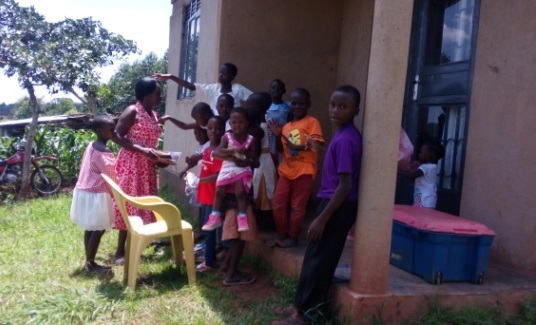 Stanley is now doing orphanage ministry in Mombasa- Kenya with a charitable organization. Stanley also had an opportunity to meet our high school youths and interact with them. It’s a group of six students, and we use Christianity Explored materials. We are now on the last session of Christianity Explored before we finish. Simon is working on certificates which we will be giving to each student who completes the course. 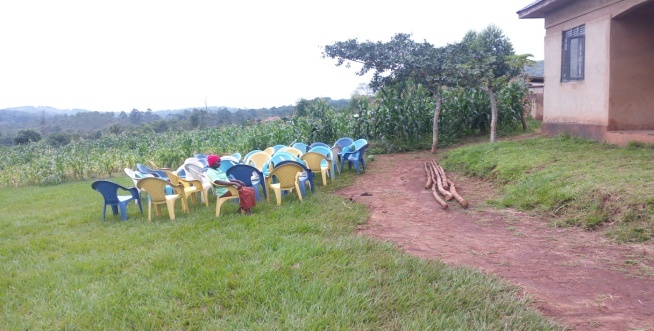 The graduation will also include the village people who use Christianity Explored Luganda materials -- although they have been slow to finish. After returning back from the meeting in Kyegegwa, Simon also had to head to Busia in Eastern Uganda with Jovia and Koki. They went and returned on the same day. Their main theme was to encourage Pastors to read the Bible; since this is their role and responsibility as church leaders. We want to thank you so much for praying for the borehole project. As a ministry we thought it would be a great idea for our community to have a borehole for the supply of water. 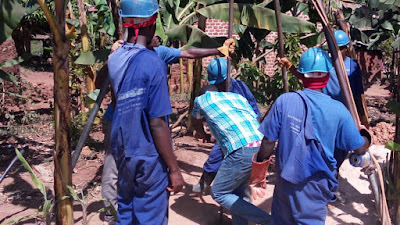 The six men are doing a great job at Joyce’s home where it is being dug. This great work is being done by MISSION WATER. They have already reached the water level, so we think this week they will finish. Then our community will have easily accessible water. Our community is very happy and they can’t wait for it to be finished. In the middle of the picture is Simon helping on the community borehole. We were very happy to see some of these drilling men show up at church to worship with us. Kamukama, who is one of the workers, gave his life to Jesus. What a blessing to do such a good work from a heart that has been regenerated by the working hand of God, and flows out with charitable works! 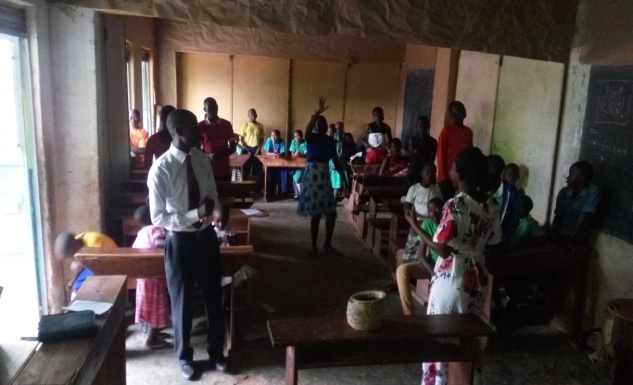 The picture below was taken during a Sunday service when we were praying for the Sunday school – as it is our routine. 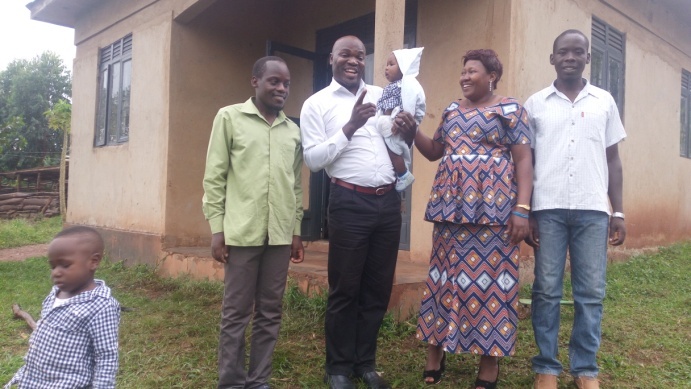 We also had a dedication of Zainah’s two weeks old baby boy, along with Deo; the grandfather to the baby. This is now the fifth baby to be born in our church family. We have a saying in one of our local dialects, ‘emiti emito gyigumiza ekibira’. Translated it means: 'Young trees in the bush make it thicker in the future'. The application of this saying is that, babies/young kids will maintain the future church in a more glorious state. Therefore, we must care for them, and bring them up in a Godly way that will stimulate them to do God’s work when they grow up. As you have always seen, our Sunday school is growing. They normally meet at our house porch. The rainy season is now on, so we don’t know where they will be meeting. Pray for a shelter for the school Sunday. Please pray for graduation of high school discipleship students, and also those are on village trainings at our church. We would like this to be done early April. High school students are on last session to finish. Pray for ministry provision as there is a great need for a Sunday school shelter. May love be with you all in Christ Jesus. Amen. This command and promise to all Christians has been very significant for us. It’s exciting when you are able to go to all peoples and share the Good News with them; even when they may not necessarily like what you're doing. We have had a wonderful time sharing the gospel. This month we had scheduled a meeting with Jalia’s husband. We talked about Jalia and her husband in our last month's report. The meeting went well. Our meeting was specifically to share the gospel with her husband who is a Sheik at three Mosques in our district. Our meeting has been delayed for many days due to the fact that we have had many other responsibilities to attend to. We went with a few church members and after looking for about ten minutes, we found him digging in the sugar-cane garden. We had been calling and whistling through the bushes; listening for a response. Finally he came through the tall; thick sugar-canes, with his panga (African long and heavy knife) and stick in his hands, and with his dog following him. He was not argumentative as you know most Sheiks would be. By the time we had finished, ten more ladies and men had joined us. Some of them were fellow Muslims that go to the same Mosque he leads. None of them were aggressive to the gospel presentation. After we shared the gospel, they asked us to pray for them; although no one came to Jesus. We were very thankful to God for a friendly atmosphere where we could share His Word with people who don’t believe that Jesus is the Son of God; but who were still willing to listen. We thank the Lord for the ladies and men who are becoming gospel focused in this ministry, and willing to reach out to the lost in our community. I have habitually heard some ladies say ‘This year, I want to serve the Lord faithfully’. This statement rejuvenates us. These are ladies who were strongly involved in witchcraft, and now the Lord is using them to serve Him. We are all the happier with what we see happening. Alex had a teaching engagement in our nearby village. He was invited by Pishon River Church to preach there; and it went well. (Photo below) The session started in the evening because most of the churchgoers have to work in the gardens in the morning. The congregation liked Alex's teaching; and after he had finished, they decided to invite us as a ministry to run a program where we will give them more teaching. They will soon confirm when that will be. Consider praying for us, that God will give us wisdom, and that we impact the lives of these village churches. Alex also had a preaching engagement in a Kampla city suburb church. (Photo below) He was invited by our fellow brother in Christ, Pastor Oyeti, who with his dear wife and two kids is serving the Lord in this Church. We had a great time at what is only a newly planted church. After about 20 minutes of preaching, it started to rain. I tried to compete with heavy rain sounds on the roof, but it was impossible. Therefore, we had to wait about 40 minutes, after which we carried on preaching. These trainings have resumed, and we hope by the end of March to be graduating those who will have completed the Christianity Explored series. Some of the participants are really doing well, and are growing spiritually through these Bible programs. You would be surprised if I read for your some of their responses. For example; Kagwa Deo, who is in a village program, is ahead of the most participants. His reading and explaining the Bible is improving greatly; and when he is sharing the Word, there is a strong motive and passion in his heart. You should hear the wonderful praise and worship that comes from the mouths of the kids below. Nakaye who leads them has been doing a great work with these village kids. And guess what? We will have a vibrant choir in the coming years. 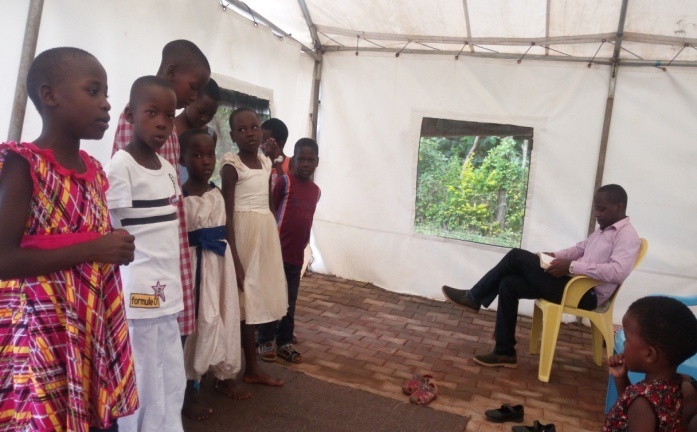 The kids below come very early every Sunday to set up the church for worship.They love to serve the Lord in this way. When they are done, we have a cup of tea and breakfast together with them. Gloria is not in the photo, but she is part of the team. We love them, and encourage them to love God. Their parents did not know God, but some of them do now. This month, we were able to purchase a solar panel for church lighting. We have been using kerosene lamps and candles during our evening prayer meetings; especially when we were delayed and it got dark. Sometimes there was no way you could read. It has been a long time that we have been praying and trusting the Lord for this provision; and eventually the Lord responded 😊 No more darkness now. We want to thank the Lord that He is growing this church ministry in many ways. At least once a week we get testimonies from people about how this church has reached out to them or their families. Despite the fact that we live amongst many people who don’t want to go to church; there is also a large group of people who love our work here and who consistently encourage us.  1. We are planning to have a women's conference before May. Please pray about it.  2. Pray that this ministry will impact the lives of many people in this village.  3. That the Lord will supply support for this ministry. up, and that they will be a witness to their families. Psalm 98:1-4 A Psalm. Oh sing to the LORD a new song, for he has done marvelous things! His right hand and his holy arm have worked salvation for him. 2 The LORD has made known his salvation; he has revealed his righteousness in the sight of the nations. 3 He has remembered his steadfast love and faithfulness to the house of Israel. All the ends of the earth have seen the salvation of our God. 4 Make a joyful noise to the LORD, all the earth; break forth into joyous song and sing praises! As a ministry, we want to thank the Lord God Almighty for the great things He has done in 2018. As the Psalmist has put it – He has done, and will continue to do great things, especially saving people and showing us His righteousness, and His steadfast love and faithfulness. Therefore we joyfully give thanks to the Lord for the people that He saved last year, and we still trust that He will continue to save more people this year, and faithfully lead them through life. Please join with us as we praise Him for what He has done over the past few years; and also join with us in prayer that He will continue to draw people to Himself this year. This morning at 4:10am Male’s wife Babirye gave birth to a baby boy😊 According to Male she got labor pains at midnight. It was dark and there was no transport available. They waited up to 4:00am, but it got worse. Male called us, and Alex went to save her. I arrived with the motor bike, and we were trying to carry her and put her on; but that's when she started to give birth. 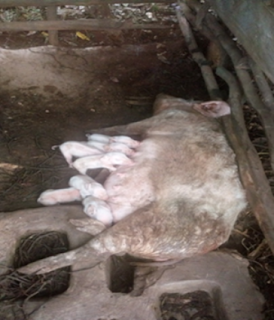 She was screaming in the dark and gave birth right on the roadside. I had to leave them there and drive off to look for a qualified nurse. This was not an easy experience for me. Most clinics were closed, but finally I found one. They were checked, and later I took them to the hospital for the baby to be immunized. They are now in good condition. Below is an old photo of Simon; Male; Babirye; and their other child. Above is Henry with his family. We knew Henry before we went to Bible College, and we have known Deborah since 2009 when we were living with Dean and Sherrilyn in Ruwero district (Uncle Dean and Madam). So they have been very close friends. Henry has been a pastor for some good time, even when he was still in Uganda, and they were great encouragement to our church. Henry is now pastoring a church in Abu Dhabi. He also works there and comes to Uganda once in a while. It was great hearing from him how Christianity is going in such an Islam country. He said that if someone is convicted of sharing the gospel in United Arab Emirates he could face life imprisonment. Henry says that when they are sharing the gospel, they have to be very careful. Above is Deborah ministering to the kids at our church. This was a second time she has visited our church, and she was very happy to see that the ministry has grown from what she had previously seen. This is an income support program for our community. 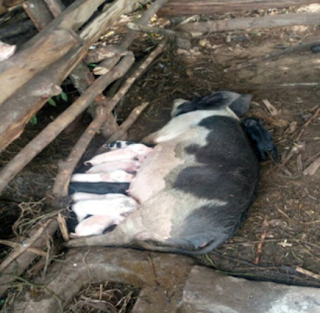 It is a well-developed strategy where widows and single mothers are given piglet(s) from our farm. 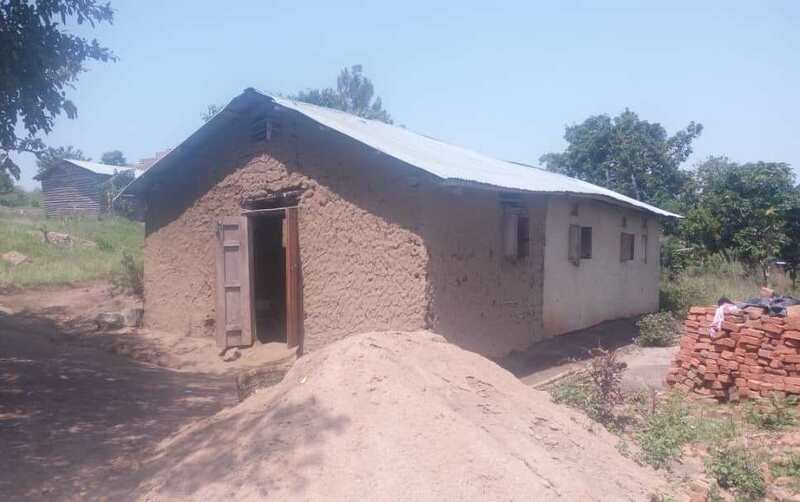 The committee singles out a particularly needful person (single mother or widow) who will be faced with the challenge of constructing a pig sty with their own resources, and buying at least one sack of maize flour to feed the piglets. We will give each needy person a free piglet from our farm, and we will follow up to see its growth. Alex and Simon have become experienced pig-farmers over the last three years while we have been in Mpigi district. As you well know, we operate farming alongside pastoring this community church; and also taking spiritual oversight in other community organization programs. This means we can help people with advice in pig rearing. We will help them with simple treatment skills and vaccination. I and Simon normally want to do things simple but unique. We have a saying here, which we think relates very much with this topic of enabling single mothers and widows make an income - “Omumpi wakoma wakwata” - which translated means - “Where a short man touches, is where he reaches. Application -‘In our small capacity as the Lord leads us, we will try to stand with these mums’. There are mothers out there who love the Lord and would do a lot more if they had some income to enable them. 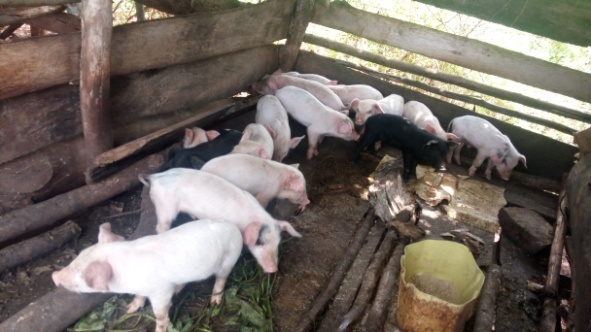 Our piggery farming has been great in supporting this ministry. We think it will be a great supporting tool to economically empower these mothers. Her health has greatly improved, and her spiritual life has also grown. This month she received a Bible from us, and when we went to encourage her and pray together, we found her reading it. She was very encouraged to own a Bible; she had never had a one before. She is now strong enough to walk for some short distances and to do some house work. You may remember from our May and June Newsletters last year that she gave her life to Jesus after having spent a long time in witchcraft. When we met her she could not walk; she could not even attend to her garden. 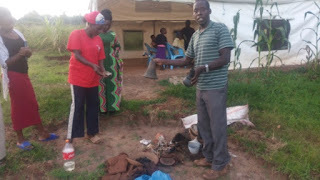 With the other ladies in the church we threw away all the things she had got from witchdoctors and since then her life has changed. 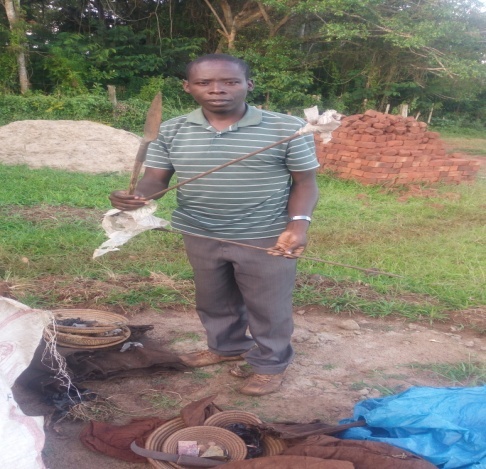 We met Namyange Jalia (Jalia’s husband is a Sheik at three Mosques in our Mpigi district. A Sheik is someone who teaches and leads Muslim rituals in Mosques). Simon and I have known this family for two years now. While we were sharing the gospel with her, she told us that she had always wanted to come to our home and let us know that she wanted to know more about Christianity and our farming project. 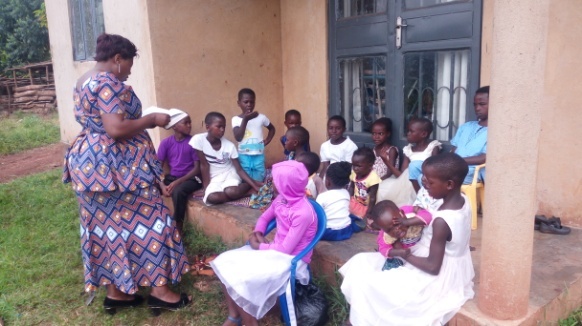 In the course of us sharing the gospel with her, and of her reading the Bible, she finally said she wanted to receive Jesus as her personal Saviour. However, she did this in secret as it is life threatening for her. She asked us to arrange a meeting with her husband and share the same message with him. Unless her husband comes to Jesus, her salvation and prayer time has to be kept secret. She says that if other Moslems came to know she has received Jesus, they will attack them and cause a great injury to her family. We wish to remind you again to rejoice in the Lord for the great salvation he has endowed on His chosen ones. May the endless Love of God be with you. 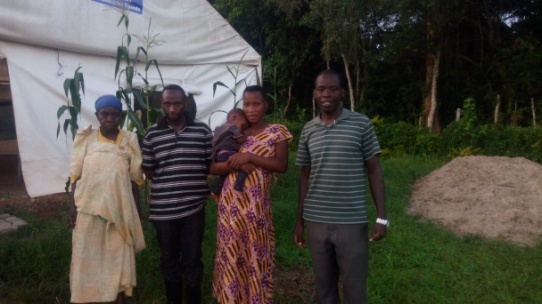 It is our pleasure to bring you good news about the family of Male; his wife Babirye; their son; and Male’s grandmother, Mamma Pauline. With such great joy, we want to thank God so much for shining His light on this family which had lived in darkness for ages (right from their grandparents). As Lungala Community Bible Church we had a week of fasting and praying at the beginning of this month; praying that God through His Spirit would convert the souls of our village friends and transform their lives to know Him. We decided to do this after discovering that our community has got a lot of people who believe and practice witchcraft. We have been reluctant to communicate this because we realized that very few people knew about it. Even we ourselves hardly understood the intensity of this practice and belief, until God saved some ladies in our church who had been taking part in witchcraft. Anyway, Male came to Jesus on 2rd December, along with his family and their grandmother before the church. The congregation was so happy and showed them a warm welcome in the house of God. 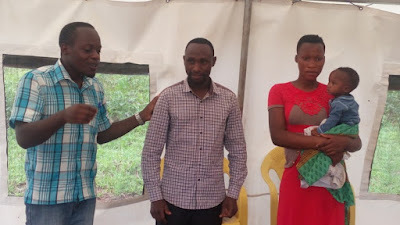 We did not know that he had been a witchdoctor, but when Simon announced the fasting period to the congregation, he showed up the following day. It wasn't until the third day of our fasting that he called Alex and asked if he could help him and guide him away from witchcraft. Male said to Alex: “I have been practicing witchcraft since 2006. Can you help me to burn all the witchcraft stuff? But will it not turn on me and kill me?” From Alex’s brotherly chat with Male after his conversion, he said he was too tired of serving Satan. Friends, witchcraft is real, and you can only be kept away from it if you’re in Christ. If you’re not covered with the blood of Jesus, it can even back fire and kill you (Mark 9:14-29). Male says that there were too many demands on him from demons, and his life and family were always having problems. 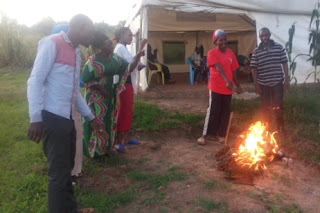 You may remember sometime back that we wrote shortly about child sacrifice in Uganda, and that one of the leading causes of this is witchcraft! Up to this day there are reports in newspapers about innocent young kids being sacrificed for satanic worship. Now that we have seen Male coming to Jesus, we know that God is restoring peace in the hearts of people in Uganda and Africa. Second from the left is Male (in black and white striped tee-shirt), and Pauline on the left. Pauline (who is in her 70s) inherited witchcraft from her grandparents. You can see how Satan can hold families for a long time. You might be interested in knowing how Male found out about our church. Some time ago we were doing door-to-door evangelism in the evening and we came to Pauline’s home and shared the gospel with her. She refused to receive Jesus, but she allowed us to pray with her before we left. After a period of roughly 8 months, her grandson Male built near her home. He shared with her how he was tired of witchcraft. Pauline told him that she would guide him to our church where he could receive help. Finally, early one Sunday morning, they came to our church, and finally they both received Jesus as Saviour and Lord. They brought two sacks full of spears, knives, pipes, and bark clothes etc. – the things they were using to call and serve demons. We burnt all this as you see in the pictures. These are the things he used in the satanic shrine. Some of this stuff was unknown to Male as he was told never to open the bags to see what was inside them. That is how easily witchcraft can blind people. I opened the bags and called him to see what was in there. Some of the church members were there, but others feared to come as they thought it might attack them. On the left is Alex unfolding the things Male was using at the shrine. On the right, they are all being burned. Hallelujah! Let's continue to pray for the many witchdoctors in this community and district that they might come to know the truth and receive Jesus. We need to share the gospel, and love these people who are held in darkness. Our ministry is making progressive changes, and in many ways touching the lives of people through the gospel. Despite the many stumbling blocks we face, we praise the Lord that His message is reaching out to people. We have a couple of other things to report to you. The Lord has done great things to this ministry. Since we started this ministry (in our house to start with) we did not have a pulpit. 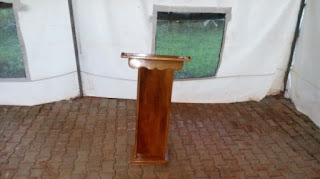 So we have been using chairs to place our books or Bibles on during the preaching sessions. Therefore it has been of interest to us as a church to buy a pulpit. We started saving towards it, and this month the Lord enabled us buy one, and here it is. Simon did a lot of work to order it and bring it from Kampala out to where we live. Secondly, Alex was invited to a three day conference, where he spoke about the 'Importance of a Bible for a Christian’. 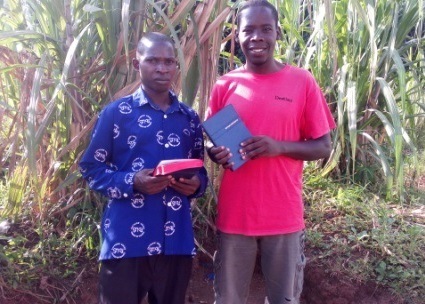 It was a joyous time, and many brethren regained their love for Bibles. This department has steadily gained momentum with the churches and village people we reach out to. It was a village organized conference where there were about 100 people from near-by churches. This is again where I met a pastor leading a local church who had a Bible which was old, with some chapters torn or missing. 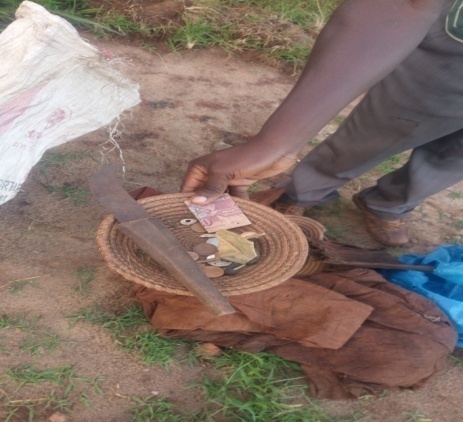 This servant of the Lord told me that at their church there was a great need for Bibles, but the cost of local language Bibles was too high for them to afford – even for the pastor! So, we will try to stand with this church and make Bibles available to them at affordable prices. As a ministry, we take this moment to wish you a fantastic 2019 and a blessed Merry Christmas. Pray for the family of Male to stand strong in the Lord. Provision for this ministry, and Bibles for the village people. Love to you all, and thanks so much for your support. “It implies that the gospel will go to all of the elect. The redemptive truth must go to the ends of the earth inasmuch as there are elect in ‘…every kindred, and tongue, and people, and nation’ (Rev. 5:9). Paul, realizing this, was willing to suffer during his ministry since he knew that he endured ‘… all things for the elect’s sakes, that they also obtain the salvation which is in Christ Jesus with eternal glory’ (2 Tim. 2:10). This has been true missionary motivation” (Kenneth Good, Lost and found). It’s such a blessing to bring to you our second-to-last newsletter for this year. November was meant to be a special month for us, in which we had planned to have two special missions: graduation of high school students under our discipleship programs (Christianity Explored); and the evangelism mission on Lake Victoria Island. But even though we were unable to accomplish them, we highly appreciated your prayers for those activities. We hope the Lord will enable us to achieve them next year. As we were planning for these missions, the words of Kenneth Good were of great encouragement. Though we are only a small ministry, we remain fully committed to evangelism missions wherever God leads us to share the gospel with people. 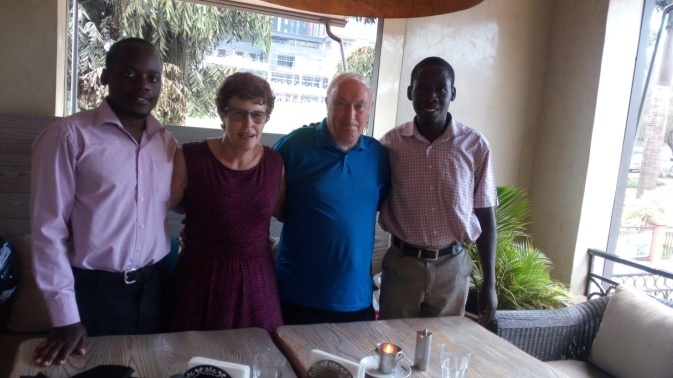 In the picture below, we were meeting our long time New Zealand friends who are here in Uganda for a short term visit. We had a great time catching up together again 😊. 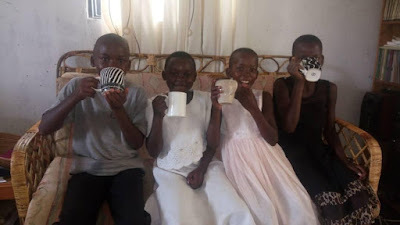 They had been serving the Lord in Uganda for over 5 years with a certain NGO for orphaned kids. Warwick and Marilyn have been a great contributing factor to the ministry we lead now. They used to visit us in high school, and have been an encouragement to us since then. When school was getting more difficult, especially for Alex, they used to come and pray for us. We really thank God for them - for their kindness and long term relationship. Below is part of Mamma Proscovia’s family (the one I had an accident with on our motor bike as we were heading for ministry in the villages). As you can see, the Lord has healed her. The photo was taken when they showed up very early at church one Sunday. Mamma Proscovia is on the second from left holding a baby. She recently brought her oldest daughter Milly to greet us, and also for us to pray for her. Milly (in blue long dress), in the course of prayer, gave her life to Jesus!!! She now works in Asia, and is fully secure in the Lord Jesus. Proscovia is a single mother who is totally committed to Jesus, and has persuaded all her family to come to Jesus. She is part of this church. If you haven’t seen any images of our church and home compound, here they are! Nakaye has trained some teenage girls to sing, so we now have a small choir (Below). 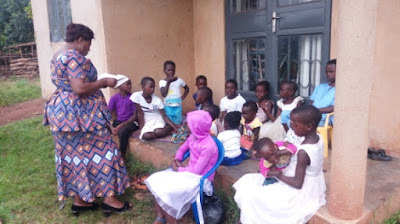 She has also trained the Sunday school children how to read the Bible. Actually, during the morning devotion today with Simon leading, Nakandi, who is part of the Sunday school, led the reading and helped alongside Simon. As you might know, church planting is a difficult and challenging work to do. But when you see God raising up servants and fellow ministers, you just have to praise His name. Furthermore, a few girls from the Sunday school have now started to come earlier to set up the church and arrange it for the whole service. This is how God is raising up church leaders here in our simple church. 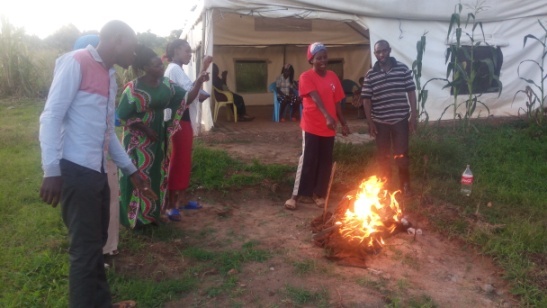 You might remember that we talked about Mugura in the August newsletter and blog. His life has had an amazing turn-around from satanic worship; drugs and alcohol. Then he came to Jesus, and his whole life has changed. 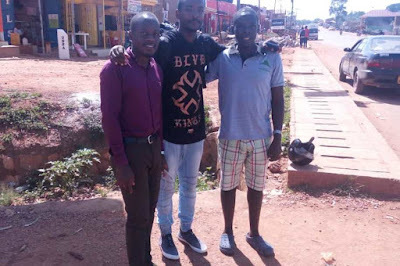 He lives in another village where believers had no Bibles, but he has put in a lot of effort to come and get Bibles for them – he walks 7 km to get to our home for Bibles. Mugura is poor and earns little money. But he is happy because he has a Bible; he helps others to get Bibles; and He preaches the gospel. Below is a photo of him getting more Bibles. And Paul went in, as was his custom, and on three Sabbath days he reasoned with them from the Scriptures, explaining and proving that it was necessary for the Christ to suffer and rise from the dead... (Acts 17:2-3). Below are students at St. John's; and during our Christianity Explored discipleship program they have progressed into the fourth week of study. This is the second year in which we have been ministering to youth groups, and it has been a real blessing to share the message of Christ with them. Third from the left in the photo above is Jackline, a Seventh Day Adventist who has passionately been part of this Christianity Explored program. She, and a few others with her, have had many questions to ask me concerning their faith. Jackline has not come to Jesus yet; but we hope that the Lord will enlighten her heart and lead her to faith in His own timing. This group is composed of 11 students (some have dropped out). We will be giving out certificates to them very soon as a sign that they have finished this program. The Bible has continued to be the key to this ministry. Below is Alex handing Bibles to Mr. Kefa, a lay leader from a nearby church. 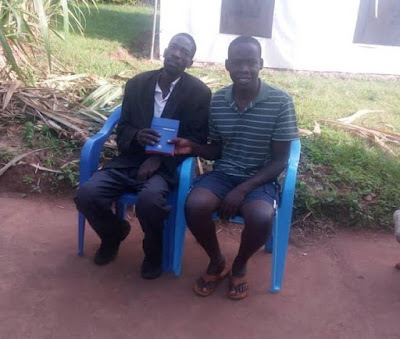 He has been receiving Bibles from us since we started this ministry, and continues to take them to his church members. Mr. Kefa says he has opened a campaign at his church called 'Bible Operation'. Norah (who lives near Lake Victoria) did a similar campaign at her church, and a number of believers there have received Bibles from us. Mrs. Norah’s story was shared in last month's report. These are a few church leaders among many who are passionate about what this ministry offers to local churches. Because of the ministry of the Bible, we have twice been invited to speak at village churches. 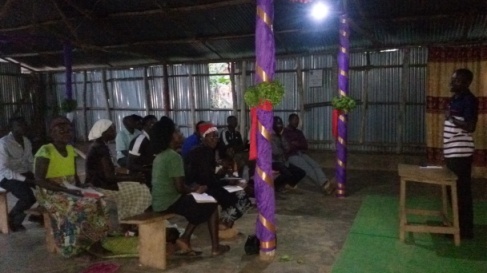 At the first one we had to speak at a night session, and many believers were encouraged to hear about the importance of the Bible. 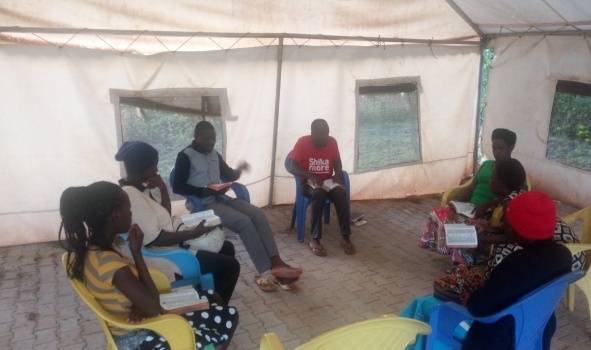 At the second, being invited by Mr. Kefa, we spoke on the topic ‘The importance of the Bible to a Christian’. The congregation was mainly teenagers, ranging from 10 to 25 years. After the message, we had 20 youths and parents receive Bibles from us. In a congregation of 50 youths, there were only five who had a Bible. In the community where this church is located, there are over 12 places where witchdoctors call on demons. It was there where three Muslims told us never to share the gospel with them during our door to door evangelism. They told us that they have witchdoctors and they don’t consent to Christianity. Over the years that we have done evangelism in this region, we have never experienced such a group of people who are not receptive to the Word of Christ. These speaking engagements about the Bible are partly the result of the city pastor who has occasionally abused the readers of ESV; Good News; and other local language Bibles which compare with these translations. So, this has left many believers and churches totally helpless. Therefore, our encouragement to these brethren is to make Bibles available to them, and to teach and disciple them. As a result, Uganda will have strong churches which can stand for the faith of our Lord and Saviour Jesus in the midst of critics and worldly challenges. 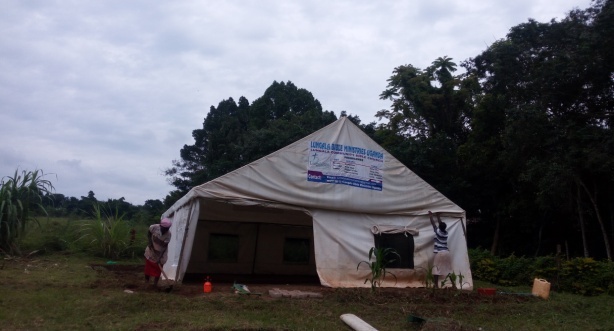 Lungala Community Church is slowly growing. For the last few weeks we have had some new people join us. 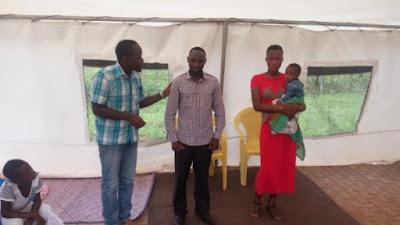 Last Sunday we had Sylvia and her brother from a different village join our church. They were happy to be with us. They had searched around looking for an evangelical church; and the Lord led them to Lungala Community Bible Church. Our church sometimes supports single mothers or fathers, whose partners have either died, or have abandoned them. We found that this is the only way we can share God's love and compassion with them. We continue to exhibit this especially to the families who have little support in their villages. Our Sunday school has no shelter in which to meet, so the kids gather on our home porch. Recently, one of the kids smashed the glass in one of our doors during their worship time. But in spite of these sort of things, the Lord is faithful; he has kept us going and bringing people to know Him. 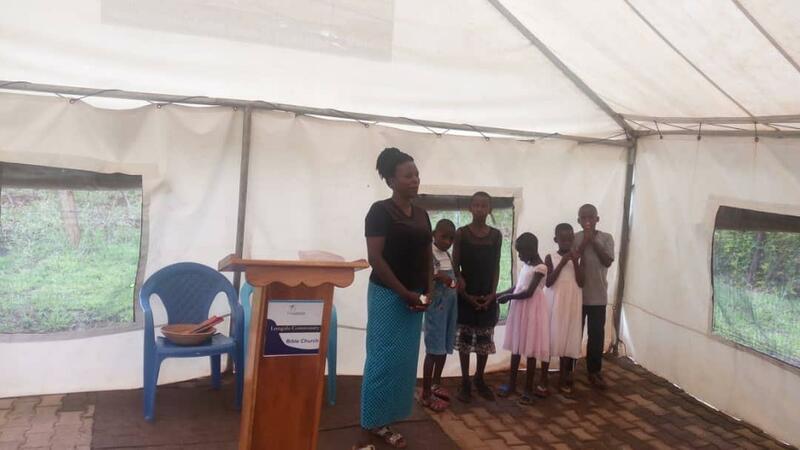 Now the kids are able to memorize scriptures and sing Christian worship songs. We say this because many of the families (actually 90%) didn't have much idea about Christianity. Some came from Islamic background; and to see them singing songs of worship to our Lord Jesus is tremendous. Sometimes when it rains, the Sunday school has to stop because the rain comes into the porch too. Our third pig gave its first delivery to five piglets. Unfortunately it happened at night and we lost three of them; only two survived. Sometimes animals need help with birthing, especially if it's the first time. The picture shows all our piglets and how they are growing. We want to thank you for continuing to pray for us and support us. Your support has enabled us to reach this far in our ministry. Please join us in thanking God for His faithfulness; for the lives He has transformed in our community; and also that we are surviving in the midst of challenges. We continue to stand firm in our calling. Please consider to pray for the ministry land; graduation of high school youths; and financial provision for this ministry. “Now those who were scattered went about preaching the Word. Philip went down to the city of Samaria and proclaimed to them the Christ. And the crowds with one accord paid attention to what was being said by Philip when they heard him and saw the signs that he did” (Acts 8:4-6). We see Phillip, a servant of the most high God, travelling from village to village, preaching the gospel to the Israelites. The persecution which broke out in Jerusalem and scattered the believers, did not change the motive in Phillip’s heart to proclaim Christ. 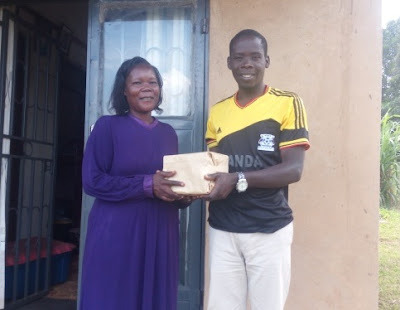 It’s upon such a background that we share with you how Lungala Bible Ministries Uganda came to meet Mrs. Norah, a lay leader in Nsumba church (A church near the shores of Lake Victoria). We met her through the ministry of Bible distribution and Pastors’ ministry. 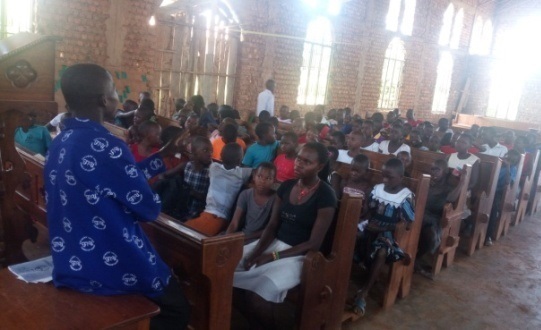 Alex met Norah when he was visiting a village church to speak on ‘The importance of studying the Bible’. As he was speaking, she took an interest in the activities of Lungala Bible Ministries Uganda. Since then she has been taking Bibles to her village friends and church members. She was one of the mobilizers we worked with during the pastors’ conference we had recently in July 9th-11th. Since then, she has occasionally got Bibles from us. The Bibles that Alex is giving her, she is taking to an Island on L. Victoria. These are some of the areas where we have travelled to preach in churches, and hold small meetings to teach pastors about the need for a Christian to have a Bible. We are preparing to have a discipleship training seminar for three days in Bugiga Island on Lake Victoria. It is about 12 km from the mainland, and we will have to use a ferry to cross over there. It will go from 9th to 11th November. Norah will partner with us as we plan forward for this mission. In the mornings we will be doing door-to-door evangelism on Bugiga Island, and then in the afternoon we will have training for church leaders. We hope to train about 40 leaders, and then in the evening we will show the Jesus film. We repeatedly say that most church leaders here have little or no Bible school training. So, for us to get an opportunity to reach out to them is a great ministry opportunity. These are servants of the Lord who have passion for the ministry. And while the inner call is very important, it's also very important to have training for ministry. Therefore we will soon start preparing for these teaching sessions, and if you’re interested in being a part of this, please let us know as soon as you can. We will also need to take Bibles with us. We therefore ask you to consider praying for this training; for Bibles; and for supporting us. If you want to know more details as to how you can support us financially, please e-mail us for more information. What we have discovered in this ministry is that most people in the villages find it hard to buy a Bible. This is because Bibles are generally only available in towns, while these church leaders live in remote areas. Actually most of these may not even know where to obtain Bibles. 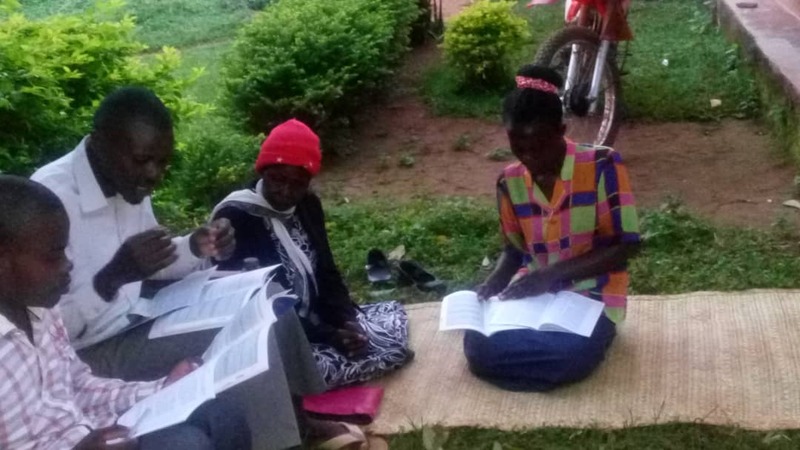 Luganda or Rukiga Bibles cost much more than what the income of village people will allow. Therefore, a village believer will find it very had to take a taxi and go to Kampala to buy a Bible. It will cost them too much. This is why Lungala Bible Ministries Uganda brings this ministry to local village people, and is why it is a crucial part of why we are here. It is the DNA of this ministry. Recently Ishah got herself a Bible. She was a Muslim who came from an Islamic family, and was converted during our door-to-door evangelism. We thank God that when family members and her husband heard that she received Jesus, they did not persecute her. She comes to church early each Sunday to attend our morning devotion before the main service begins. Some of you will have seen photos of her when she had just joined our church; she used to cover herself with Muslim dress attire. Slowly she is starting to enjoy the beauty of being a Christian. 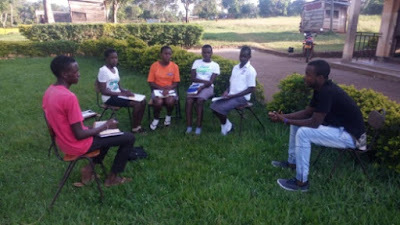 The picture below is our Thursday Bible study meeting, where Mrs. Nalukenge gave her life to Jesus (She is on the right hand corner wearing a green T-shirt). 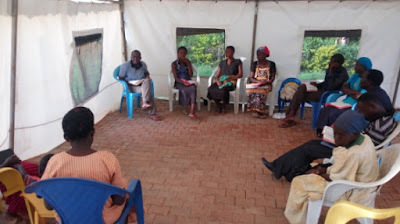 It is during such meetings with this group that we get to train them how to share the gospel. 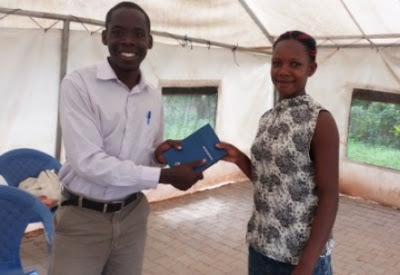 It's only Nalukenge who can’t share the gospel yet because she is just a new-born Christian. The rest we have been with in the field to share the gospel. The group below is part of our mid-week discipleship program in the village. Facing the camera is Joyce, who passionately serves the Lord during our pastoral visits. Recently Alex went with her to the home of Monicah, who in her 50's turned to Jesus. 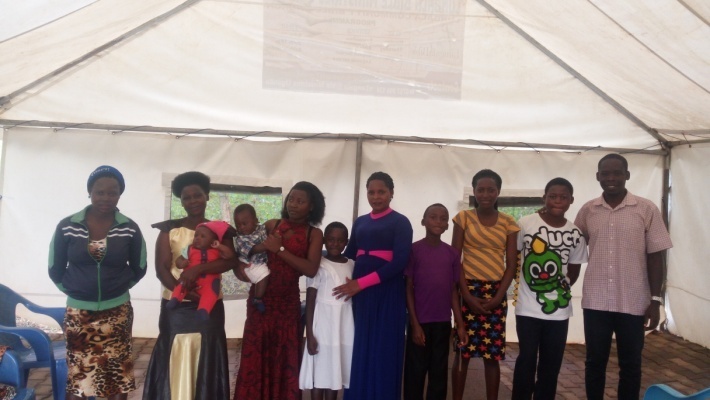 When Joyce shared her testimony with her, Monicah's home life was difficult; she struggled with the powers of darkness; and is raising four kids as a single mother. Monicah finally received Jesus as her Saviour. Praise the Lord; we are excited to tell you that the Lord has provided some needed Bibles through some of our supporters in New Zealand. Here is a very happy Alex after collecting the Bibles from the Bible Society in Kampala. This will always be a need, so please continue to help us by providing Bibles. We are very grateful for the ways in which God has used you to partner us. We are encouraged by your messages and comments which confirm that you have a loving concern for this ministry and its growth. We have good news to you about our farming. Two of our pigs have given birth. One gave birth to 9 piglets and the other 7. 6. Further provision of Luganda Bibles for the village Churches.